ABYSS is organized into 8 work packages. The first two work packages are dedicated to the management of the project (WP1) and to the recruitment of ESRs and ERs (WP2). 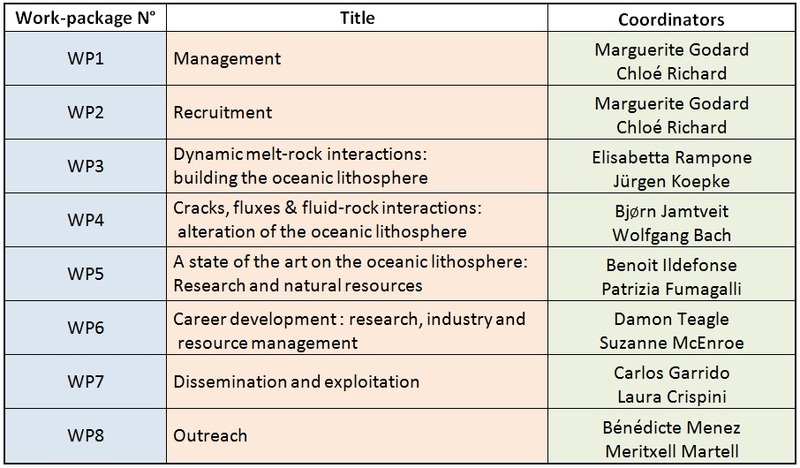 The next four WPs organize the training programme of each ESR and ER, by combining Individual Research Projects (WP3 & WP4), a common series of short-courses and seminars, practical projects and a personal training programme of specialized scientific and technical knowledge and transferrable skills (WP5 & WP6). The last two WPs focus on communication (WP7 & WP8).